In a few weeks time Lara will start junior school - this is where it all starts to get a bit serious, isn't it?! 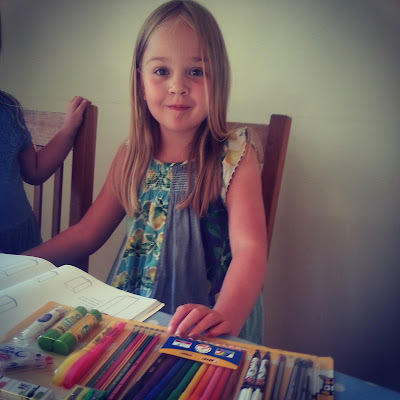 Lara is looking forward to needing school bag (aka a brightly coloured pinky purpley garish backpack) that is packed full of homework, books and stationery. Lara has been longing for the need for a pencil case! This 32 piece back to school essentials set from Bic has everything Lara needs to fill her pencil case and school bag in preparation for big school. Lara has most enjoyed using these stylised 4-colour pens which feature a skull design; she uses them for doodling in her "ideas book". 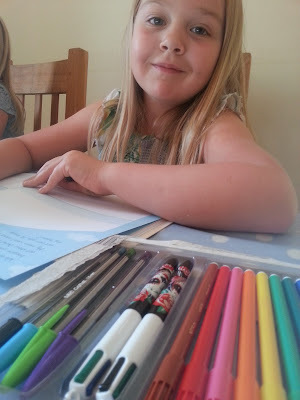 Lara had never come across the concept of a correction pen before; but because she is likely to start using pens to write at school this term, I don't think it will be long before she realises their full value! 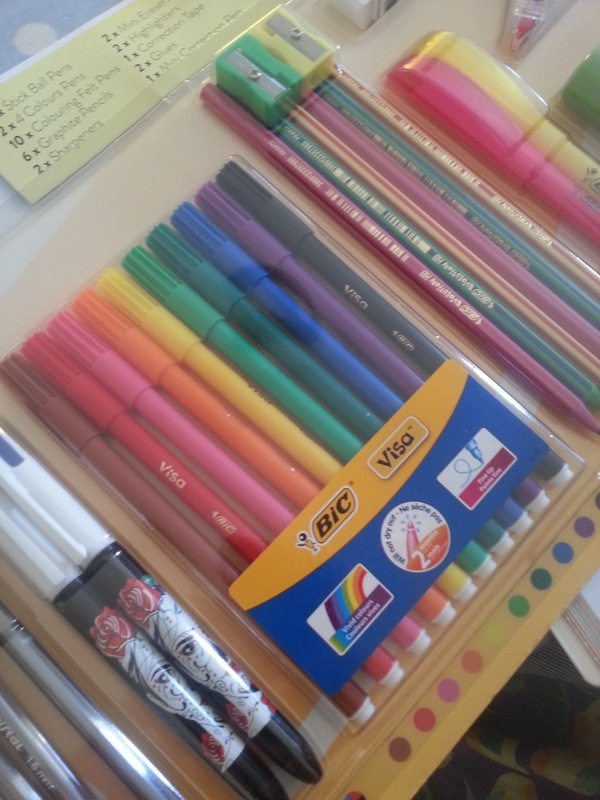 I think, from Lara's reaction to this Bic stationery set, she is likely to become a stationery lover at school this year.